The FG7X ll Housing is manufactured to the highest professional standards of function, style and durability. It was purpose designed for the Canon G7 X Mark ll compact camera. 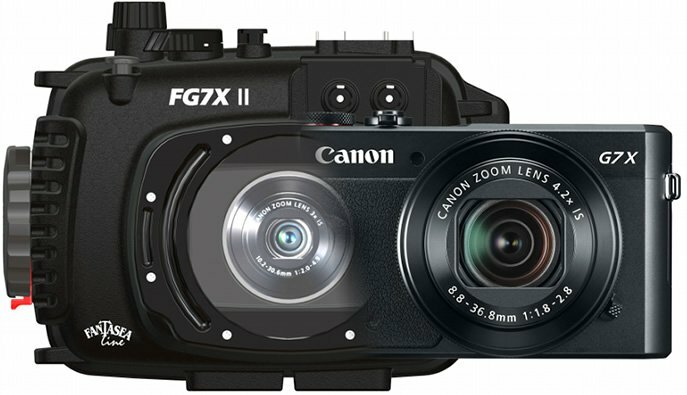 The FG7X ll is the most compact, sturdy and ergonomic housing in the market for this camera. 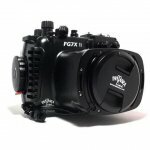 The FG7X ll is ideal for outdoor and underwater photography. 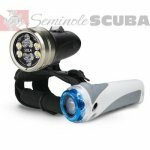 Underwater photographers can dive or snorkel and capture all the excitement of this fascinating world, while outdoor photographers also have the option of capturing the action of activities such as white water paddle sports, sailing, boating, surfing, fishing, hunting, backpacking and camping. The FG7X ll is fully functional and features easy-to-use, clearly labeled controls. This waterproof housing is shock resistant, protecting your camera from impact and damaging elements including water, sand, dust, snow, ice and pollutants. 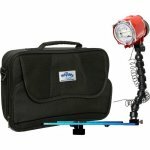 The FG7X ll has been successfully depth tested to 80 meters (240 ft.) and dive rated to a maximum depth of 60 meters (200 ft.), well beyond the 40 meter (130 ft.) dive limit of most compact housings. 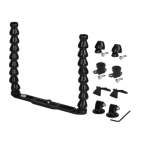 The FG7X ll Housing is supported by a complete accessory line. Advanced and high quality - the G7 X Mark ll features a new 1-inch 20.2 megapixel BSI-CMOS sensor , 24-100mm F1.8-2.8 lens, 1080/60p/30p/24p video, clicking or smooth control dial around lens, high speed AF (auto focus) of 0.14 sec., bright 3.0" 1.04m dot LCD, 8 fps jpeg/raw burst rate, in-camera RAW conversion, extended battery life (265 shots) - all so very important to underwater photographers!